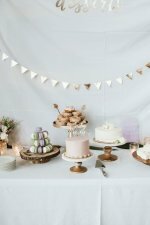 We have come up with a bundle of baby shower corsage ideas to make the expecting mom feel special! There are so many simple and creative ways to make adorable corsages! 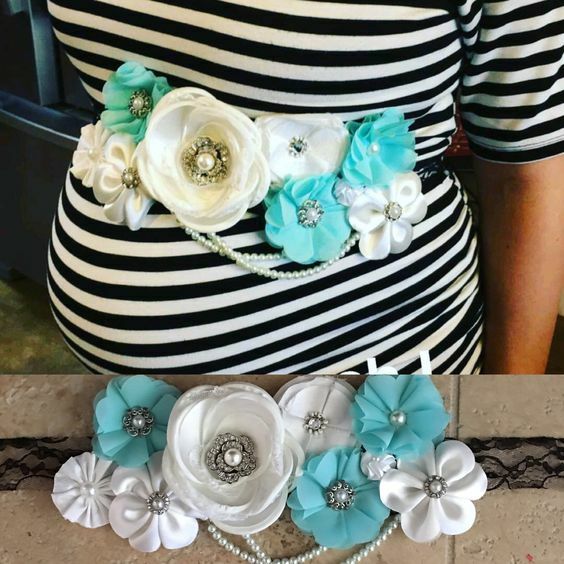 Baby shower belly corsages are so popular right now - simply add flowers and embellishments to a pretty ribbon and tie it around the expecting mommy's belly. A glue gun works best when adding the flowers to the ribbon. Make sure the ribbon is thick enough to handle all of the flowers - 2" is perfect. 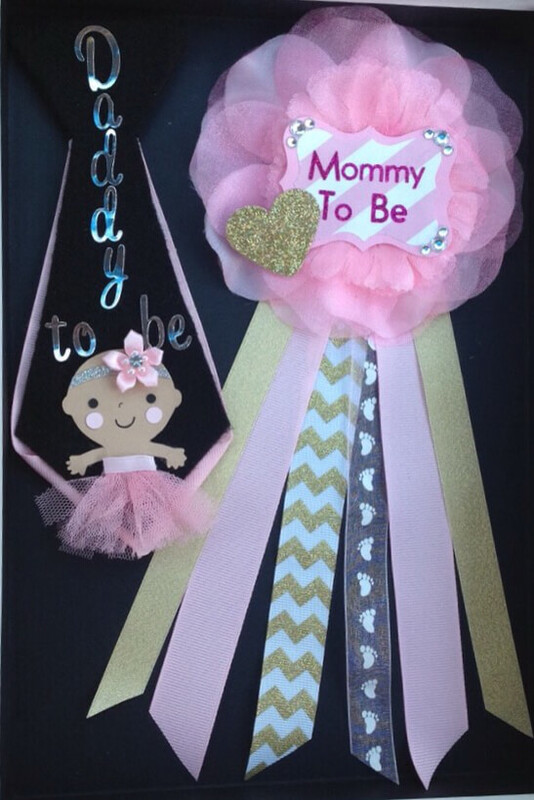 For the cute "baby corsage for a girl" above, simply purchase an artificial flower and some ribbon to match the baby shower theme. Cut the ribbon into strips and hot glue onto the back of the flower. 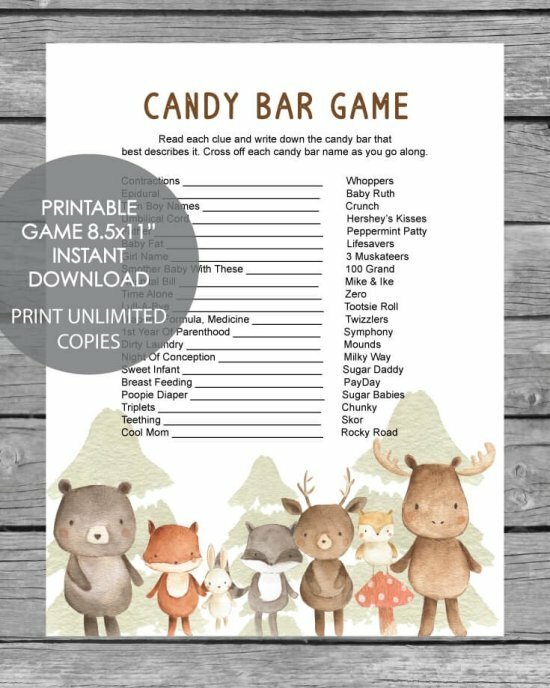 Add a mommy to be tag and a cute sticker or embellishment. Secure onto the expecting mommy with a safety pin. 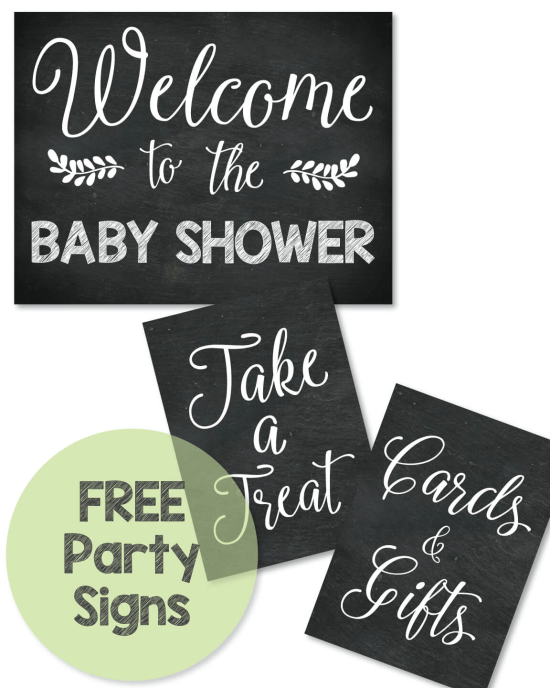 Use blue or green for a boy baby shower corsage or jungle patterns for a jungle baby shower! Get creative! 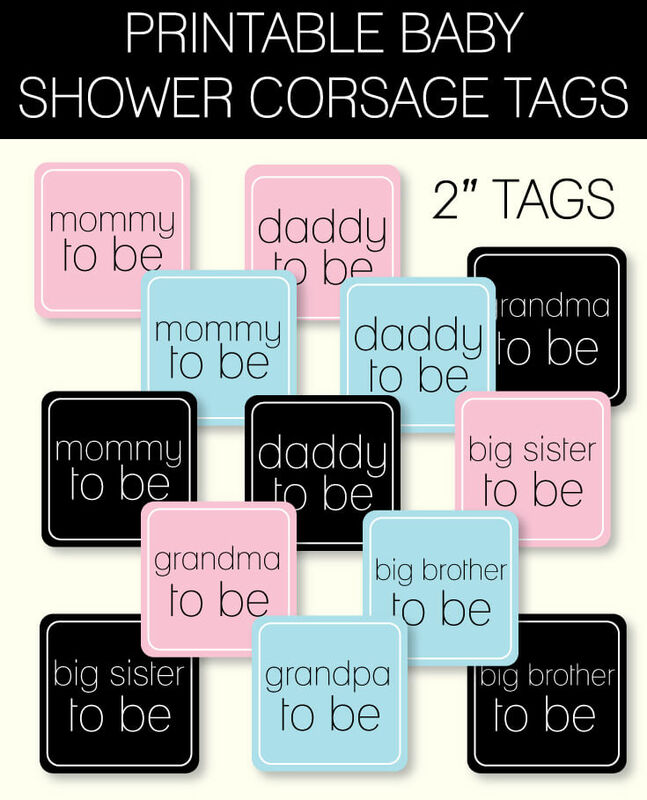 We designed some printable baby shower corsage name tags and they are available in our shop. 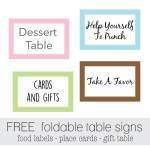 Print, cut, add to corsage! 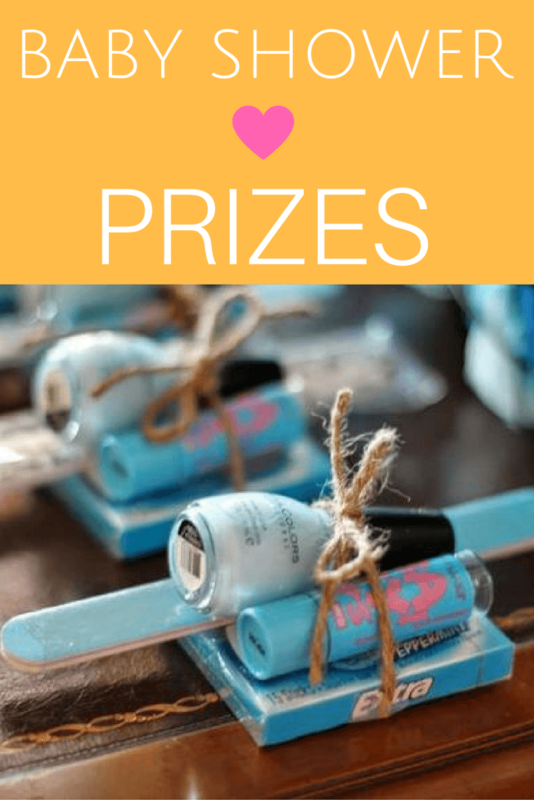 So easy and it is a wonderful way to make the honorees feel extra special on this happy day! 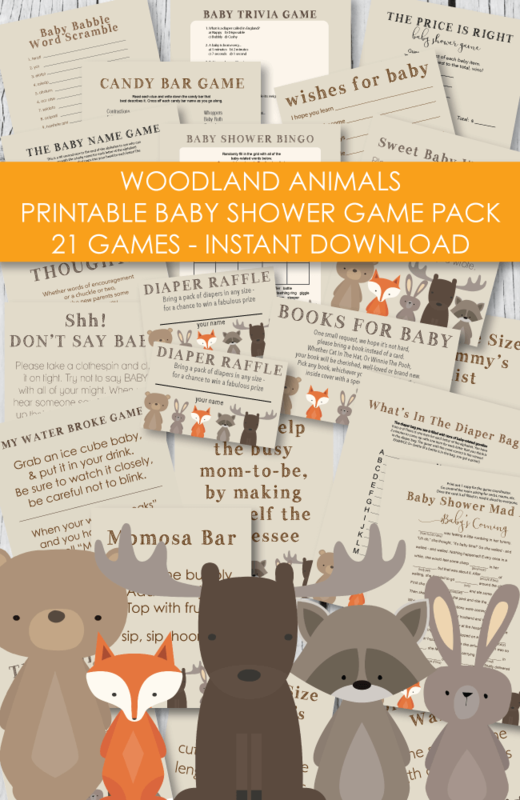 These are just the sweetest things! And so easy! 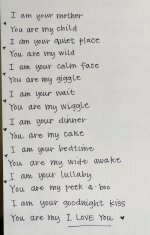 Sometimes the simplest things are the cutest! 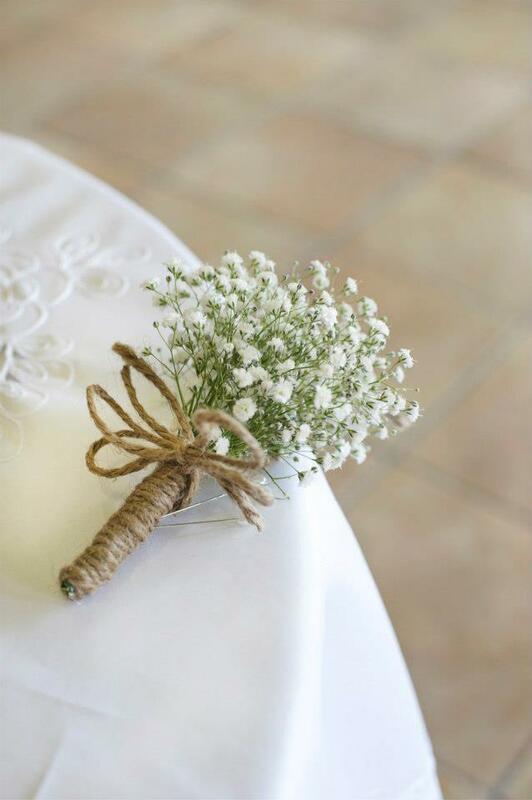 Gather a small bundle of baby's breath (or any miniature flowers), wrap with jute, yarn or twine, tie with a bow and add a safety pin to the back. Adorable! 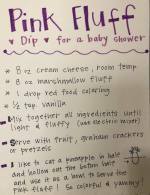 A shower corsage is a sweet gesture to make the expecting mom feel extra special during the baby shower. 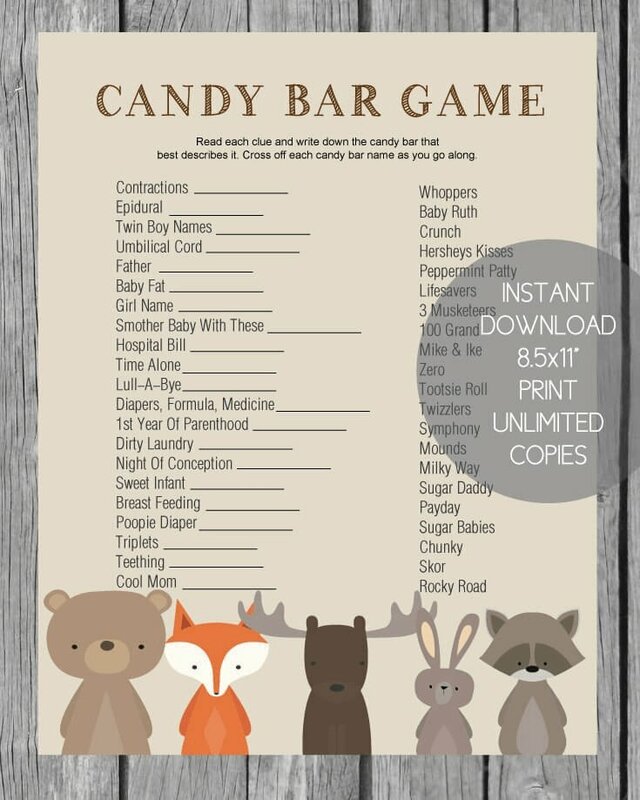 You can also choose to give a corsage to the grandma to be, any special aunts or relatives, or if it is a couples baby shower (aka a Jack and Jill baby shower or co ed baby shower) you can make a fun one up for the soon to be daddy by adding beer caps, fishing lures or golf tees! Shower corsages can, and should be, be as crafty and cute as you want them to be! 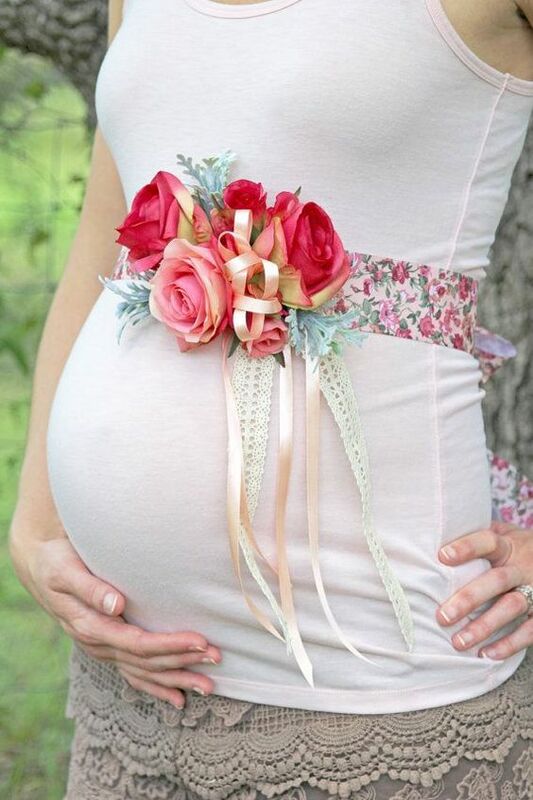 Give the corsage to the expecting mother before the baby shower so she can wear it during the celebration! 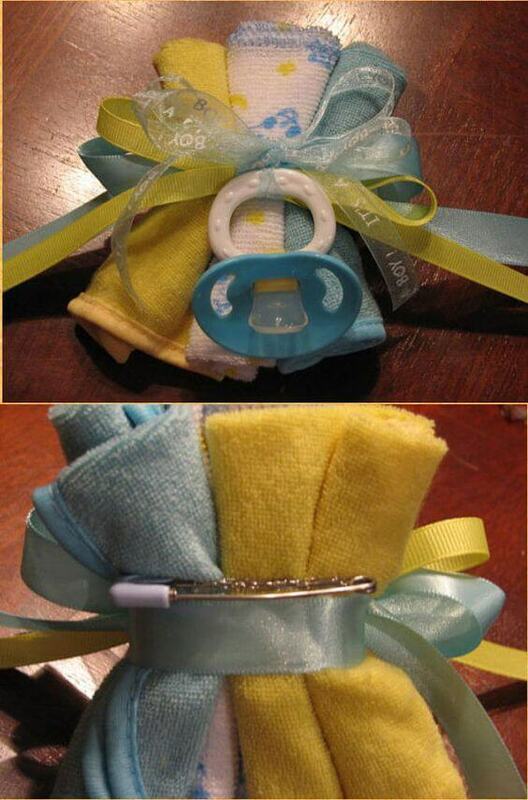 She can keep this baby shower keepsake for years to come by drying out the corsage as sweet baby shower memento. If you want to make things simple, you can order a cute corsage from the florist and ask them to add a cute embellishment such as a diaper pin, pacifier, baby hair clip, rattle, etc. 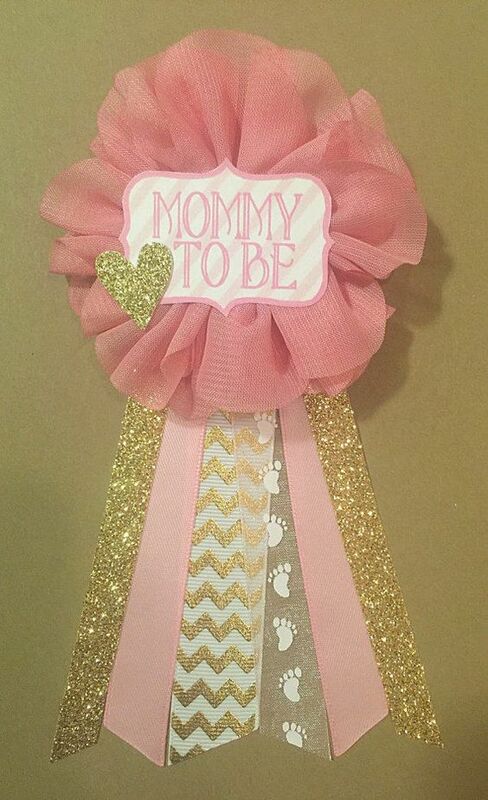 TIP: An easy way to make your own shower corsage would be to buy a girls ribbon hair clip, hot glue a cute baby-themed item to it - the hair clip already has a clip on the back to attach to the mom to be's outfit. So simple! Done in less than 2 minutes - and it doesn't damage their clothing like pins can do. Here is an example of the hair clips - you can just open the clip up and slide onto a blouse, dress or the neck of a shirt or sweater. Hot glue a flower to several strips of baby-themed ribbon, add a safety pin or hair clip, add a cute baby shower corsage label. For the adorable daddy corsage, simply cut out a tie shape from cardstock, add some cute embellishments - and you're all set!